Roll on, Spring Creek. 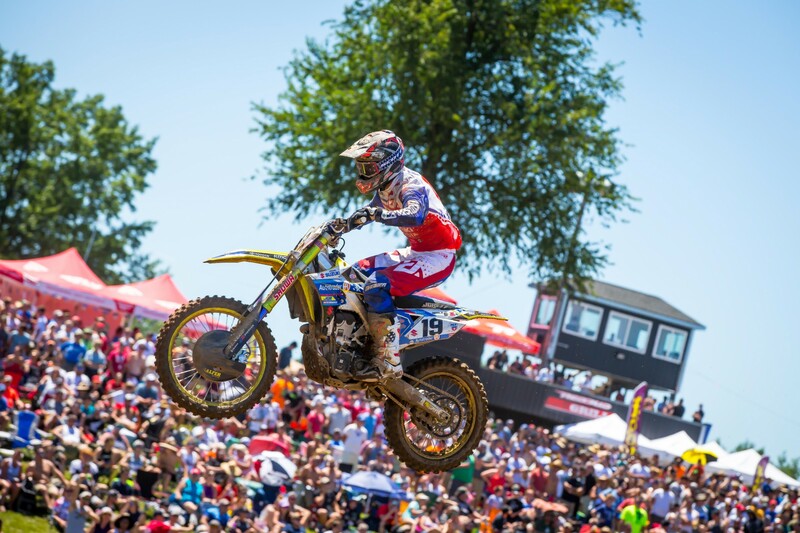 Millville, Minnesota hosts round eight of Lucas Oil Pro Motocross. The home track of Alex and Jeremy Martin is a beautiful slice of Americana. The drive through the endless cornfields on Saturday morning always provided me with perspective on what life is like outside of the motocross bubble. For the thousands of race fans spending their hard-earned dollars this weekend, this race has been circled for months. The moto community is a traveling circus, and Spring Creek is merely another stop along the way. For the upper Midwest en masse, though, this weekend is quite possibly the biggest of the year. Luckily for everyone, this venue is a spectacular one. One of the best tracks on the calendar, Spring Creek has a bit of everything. Ample traction makes this a favorite for many, but the big elevation changes, infamous sand whoops, and fun floater jumps all add to the experience. There are many tracks in the series that I didn’t really enjoy. Whether it was rocks or a slippery surface, or I simply a track I didn’t ride well on, several tracks just didn’t suit my fancy. Spring Creek is just not one of those tracks that you’ll hear complaints about. This track’s best attribute is that its actually fun to ride. Even if your season is going poorly and racing has become a job, this track is still one that has riders excited to turn laps. That might be the best compliment I can give. In a world of high-pressure racing where results trump everything, Spring Creek can make you forget all that and simply have fun on a dirt bike. The 450 championship has really caught fire in recent weeks. Eli Tomac’s horrific RedBud weekend opened the door for Marvin Musquin to not only claw his way back into the fight, but steal the red plate in the process. No one, and I am confident in saying NO ONE, expected to see Marvin leave southern Michigan with the points lead. With 50 points up for grabs every weekend, fortunes can rise and fall just that quickly. What looked to be a Tomac runaway over the first five rounds has now turned into a dogfight down the stretch. There is no love lost between these riders and teams, so look for the intensity to turn up to an 11 this weekend. The 250 chase, on the other hand, took a huge turn in Aaron Plessinger’s favor. His 1-1 performance put his competition under huge pressure. He now holds a 35-point lead over Alex Martin as they enter Martin’s literal backyard. I considered RedBud and Spring Creek huge opportunities for Martin to close this title down to single-digit points, but to Plessinger’s credit, he swung the momentum pendulum the other direction. If Plessinger can keep the points lead at over 30 leaving Spring Creek, it will go a long way toward locking up this title. As we saw with Tomac at RedBud, anything can happen. But if Plessinger has a good showing this weekend at the Martin homestead, he may have put the proverbial fork in everyone else’s summer. Can Marvin match his 1-1 from last season? Will Joey Savatgy bounce back from his 2018 woes with a podium at Millville? He won this race in 2017. Which Eli will we see in Minnesota? The late 2017 version or unbeatable early 2018 rendition? 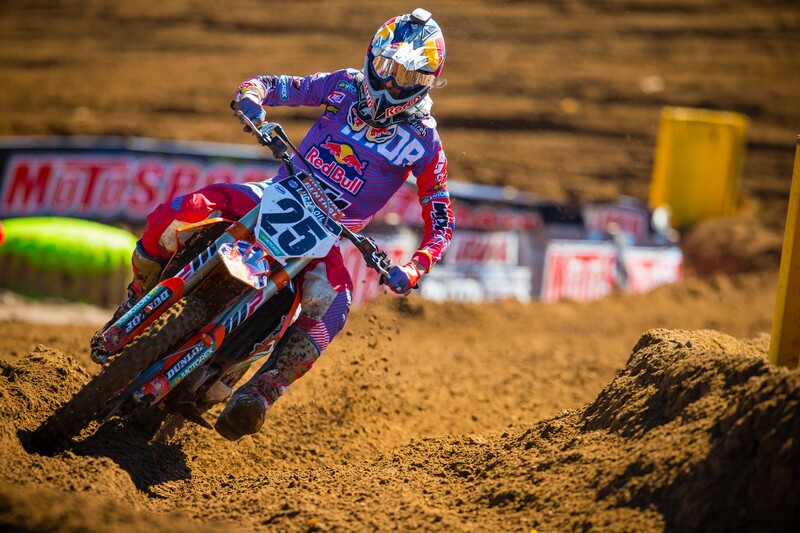 Can Alex Martin win at home? How will Josh Grant do at his first race back? Marvin Musquin took the 450 points lead when many had already handed this trophy to Tomac (myself included). Aaron Plessinger defied history and went 1-1 at a track he has not really excelled upon. Justin Barcia has been riding well and is an odds-on favorite to stay at Monster Energy/Factory Yamaha in 2019. He is also rumored to be on Team USA for this year’s Motocross of Nations. Quite the turnaround for a rider who was running out of career options a year ago. 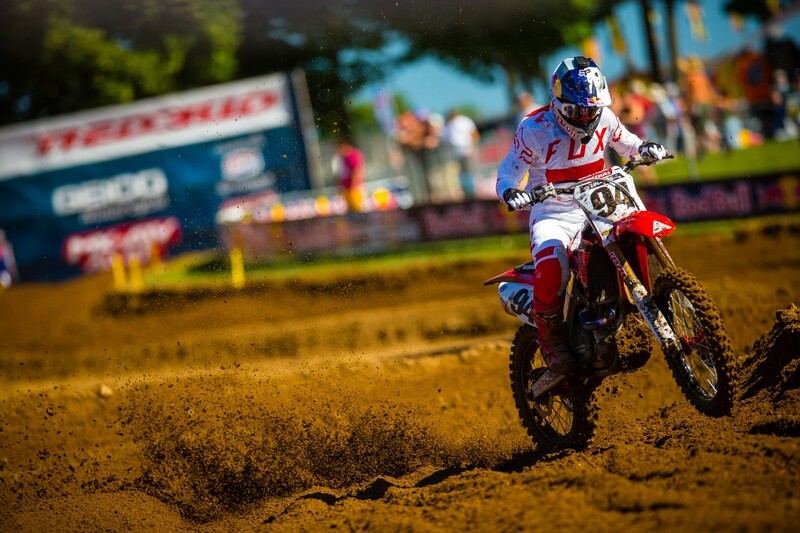 Ken Roczen picked up his first moto win of the year. Sure, he had help along the way, but there is nothing ever won without earning it at this level. Justin Cooper was red-hot a few weeks ago, setting the fastest laps and leading motos. A Southwick crash really sapped his momentum. He hasn’t been bad, per se; I just haven’t seen that intensity of early season. Austin Forkner has been super-fast, but has also had big issues. He coulda, shoulda won Southwick until his run-in with A-Mart. He was well on his way to another podium in Michigan until his run-in with A-Pless. The riding isn’t a problem; avoiding bad situations seems to be, though. He will win a race soon, methinks. Jimmy Decotis has struggled to find his SX form, bouncing around the mid-pack spots. Justin Bogle is still working to regain his pace for 35 minutes. He has the starts dialed, but the racing isn’t quite there yet. Marvin Musquin wins the overall and extends his points lead. He went 1-1 here in 2017. Justin Bogle holeshots a moto. 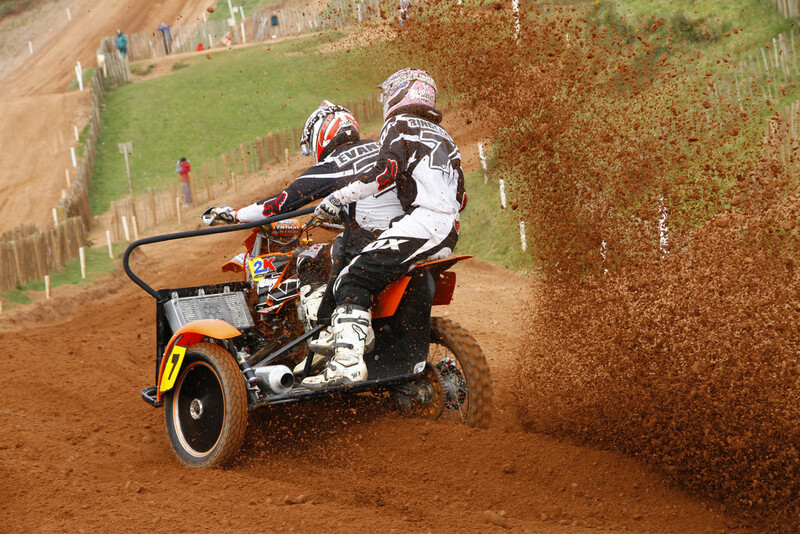 Ken Roczen leads a lap. Alex Martin, wanting to include his injured brother Jeremy, races a sidecar and puts the Martin brothers on the podium in the most unconventional of ways. Joey Savatgy finally puts it together, getting an overall podium. Justin Cooper sets the fastest lap in timed qualifying. Benny Bloss sets an American land speed record in the sand whoops.